Then Pilate said to him, Are you then a king? Jesus made answer, You say that I am a king. For this purpose was I given birth, and for this purpose I came into the world, that I might give witness to what is true. Every lover of what is true gives ear to my voice. 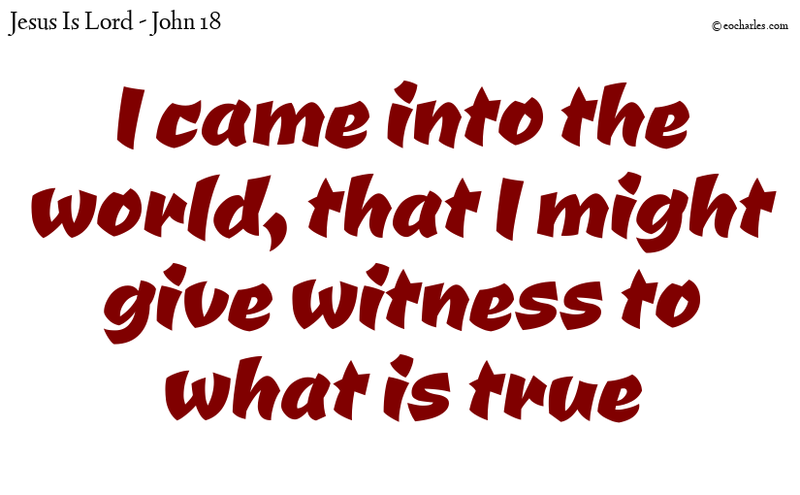 to give witness of what is true. 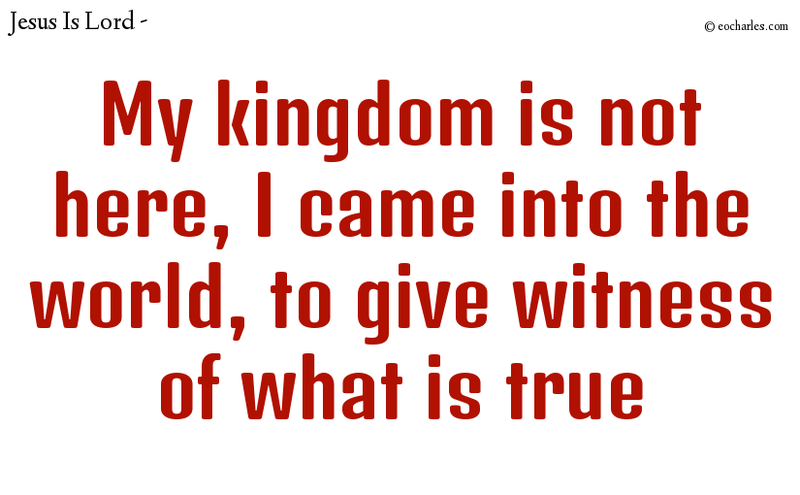 Witness of what is true. and turn back to him. He takes them back and helps them. He is the only one who anoints, there is no other. He is the only one who saves, there is no other. He is our provider, our healer, our banner, our covering, there is only one. 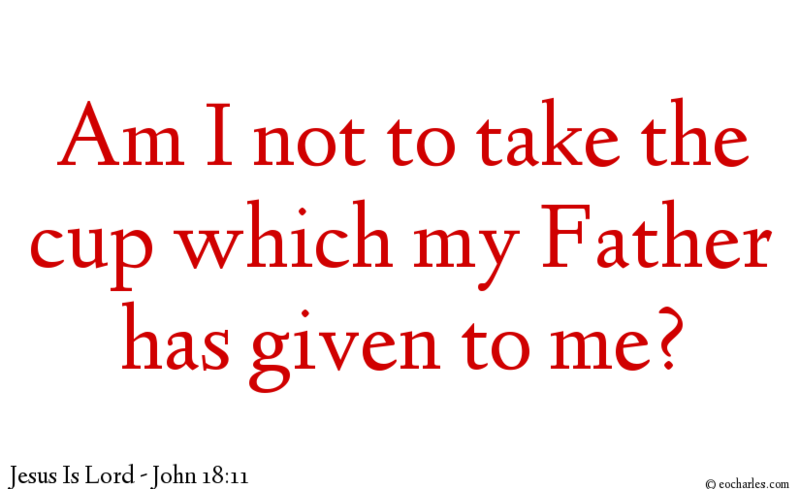 Then Jesus said to Peter, Put back your sword: am I not to take the cup which my Father has given to me? Joh 18:11 Then said Jesus unto Peter, Put up thy sword into the sheath: the cup which my Father hath given me, shall I not drink it? Jesus took the cup of all sinners 1)Psa 75:8 For in the hand of the Lord is a cup, and the wine is red; it is well mixed, overflowing from his hand: he will make all the sinners of the earth take of it, even to the last drop. 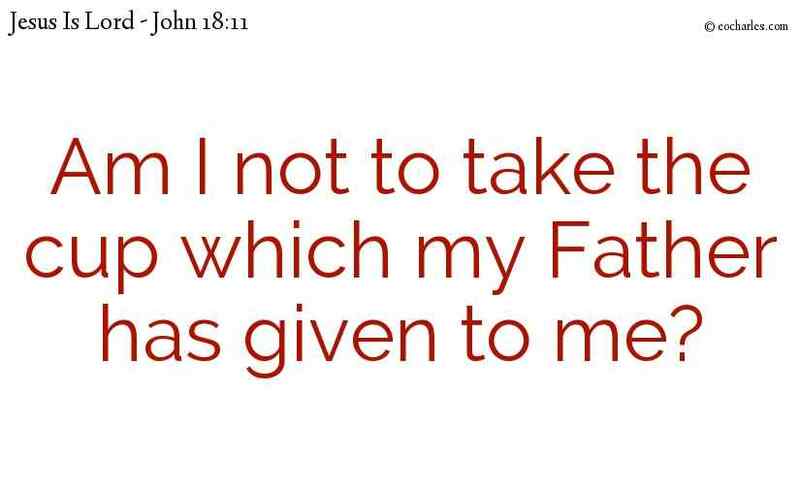 Because we are not able to 2)Mat 20:22 But Jesus made answer and said, You have no idea what you are requesting. Are you able to take of the cup which I am about to take? but be joyful for the glory of eternal life in Him who suffered for our sins. 3)Rom 8:15 For you did not get the spirit of servants again to put you in fear, but the spirit of sons was given to you, by which we say, Abba, Father. Rom 8:17 And if we are children, we have a right to a part in the heritage; a part in the things of God, together with Christ; so that if we have a part in his pain, we will in the same way have a part in his glory. Rom 8:18 I am of the opinion that there is no comparison between the pain of this present time and the glory which we will see in the future. 1. ↑ Psa 75:8 For in the hand of the Lord is a cup, and the wine is red; it is well mixed, overflowing from his hand: he will make all the sinners of the earth take of it, even to the last drop. 2. ↑ Mat 20:22 But Jesus made answer and said, You have no idea what you are requesting. Are you able to take of the cup which I am about to take? 3. ↑ Rom 8:15 For you did not get the spirit of servants again to put you in fear, but the spirit of sons was given to you, by which we say, Abba, Father.